We have 10 rehearsal rooms, ranging in size (between 100m² and 220m²) and flooring type, offering ideal spaces for rehearsals, casting sessions and workshops. 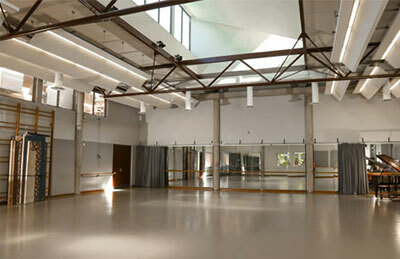 The rehearsal rooms are located at NIDA on Anzac Parade in Kensington, Sydney. There are three types of flooring available across NIDA Theatres rehearsal rooms: 3 x polished timber, 4 x sprung parquet and 2 x tarkett dance floor. a 70” interactive whiteboard television with DVD, camera, computer and internet connectivity.